Next to the cruise ship berth at Cobh is a statue of Annie Moore and her two brothers – the first immigrants to be processed on Ellis Island in New York. Located on Great Island in Cork Harbor, Cobh is the gateway to Cork City and County Cork, Ireland. Some 50 cruise ships call there each year, primarily on British Isles cruises and transatlantic crossings. 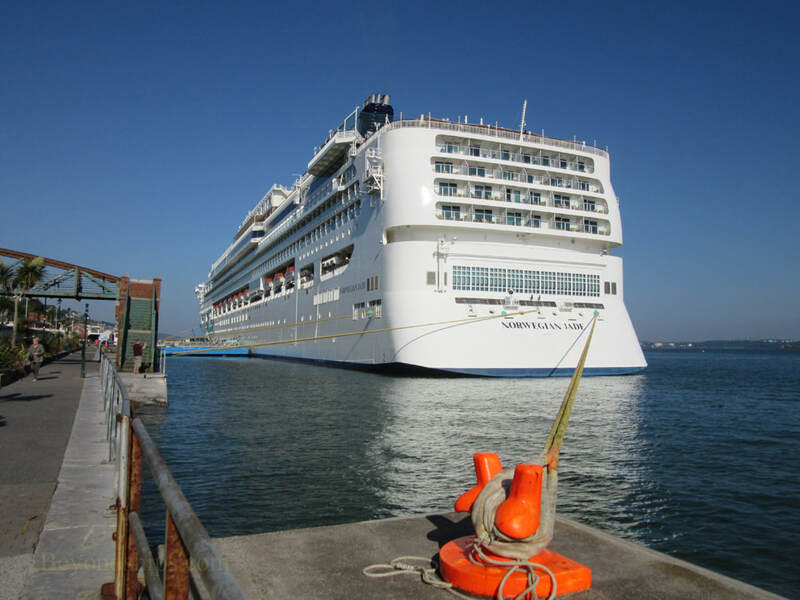 Cobh has been playing host to passenger ships for more than a century and a half. Indeed, 2.5 million of the 6 million Irish people who emigrated to the New World from 1848 to 1950, did so through Cobh (then called Queenstown). The town was also a frequent stop on transatlantic crossings during the Golden Age of the ocean liner. It was the Titanic's last port of call. Just a few years later, the Lusitania was sunk by a German submarine not far from Cobh. Both disasters are still recalled in Cobh. (see separate article). 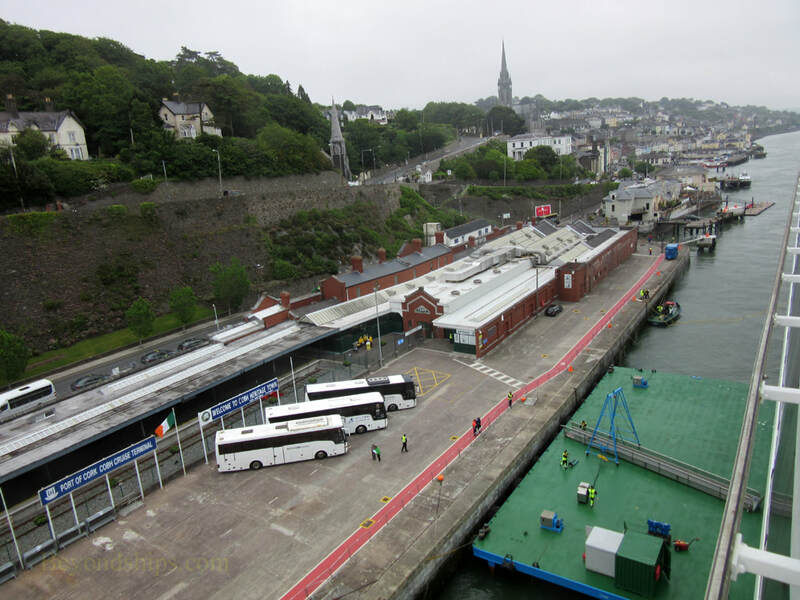 The cruise berth at Cobh is the only dedicated cruise berth in Cork harbor. However, cruise ships can also use Ringaskiddy Deepwater Quay and the City Quays. 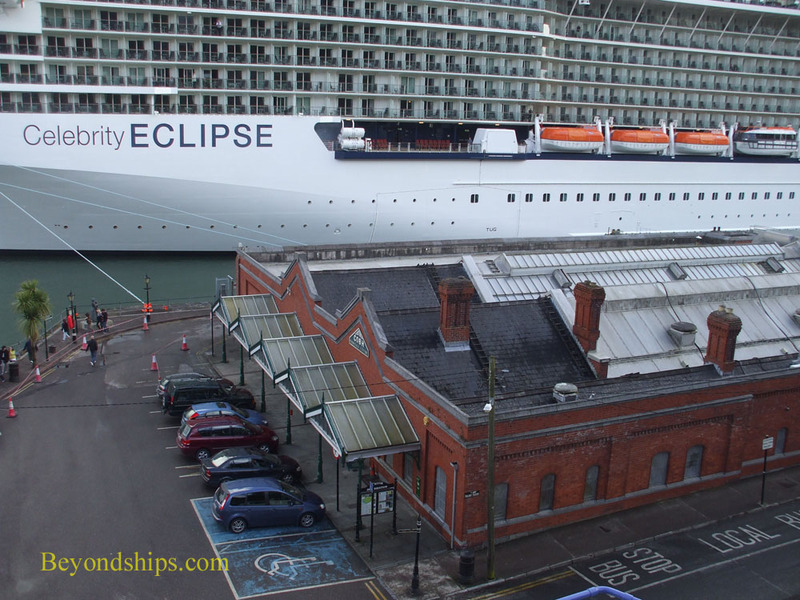 There is no cruise terminal building at Cobh. Getting around could not be easier. The cruise ship gangways bring you to a large parking lot. Here, you will find the shore excursion buses. There is also a line of taxis waiting for passengers. Immediately adjacent to the parking lot is the Railway Station. On weekdays, there are trains leaving on the half hour going to Cork City, a journey of about a half hour. When larger cruise ships are in port, more trains are sometimes added. Although Cobh is a small community there is something to see. Dominating the skyline is the Gothic cathedral, St. Colman's, built between 1868 and 1915. There are also memorials in town to the Titanic and Lusitania. In addition to the town museum, there is a museum dedicated to the Titanic and the Heritage Centre, which focuses on Irish emigration. Out in the bay is Spike Island, with the massive star-shaped Fort Charles. 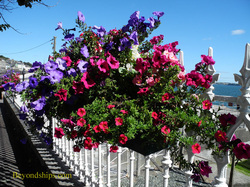 Cobh is also quite picturesque with its brightly colored Victorian buildings and well-maintained seafront. There are also plenty of pubs, restaurants and cafes within walking distance of the cruise ship dock. Above: Cobh is an attractive town with much to see within walking distance of the cruise terminal. Below: The cruise terminal in Cobh. The railway station, which also houses the Heritage Centre, is just a few steps from the cruise ship dock. Above: Brilliance of the Seas docked in Cobh. Below: Celebrity Eclipse from the hill overlooking the town. Right: Norwegian Jade in Cobh. Above: Queen Mary 2 during a call at Cobh. 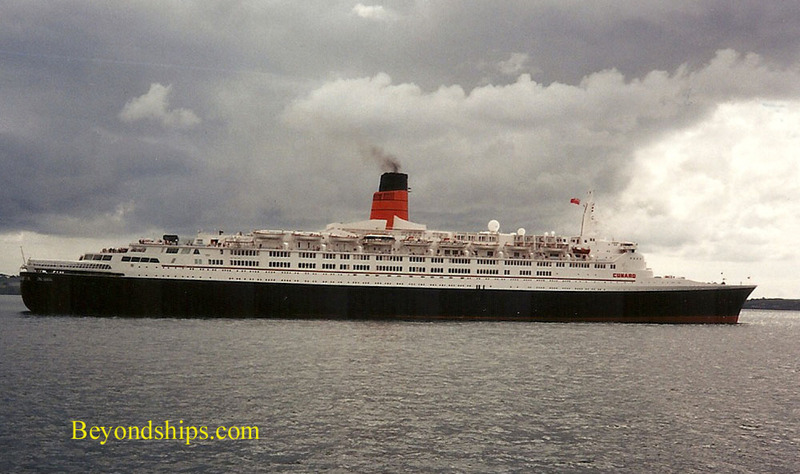 Below: Queen Elizabeth 2 tendering off Cobh in 1996.